Abstract: Libya’s relentless post-revolution conflict appears to be heading for a military rather than a civil conclusion. The finale to this struggle may come with an offensive against the United Nations-recognized government in Tripoli by forces led by Libya’s ambitious strongman, Field Marshal Khalifa Haftar. However, the conflict will continue if Haftar is unable to consolidate control of the southern Fezzan region, the source of much of the oil and water Libya’s coastal majority needs to survive. Contesting control of this vital region is an aggressive assortment of well-armed jihadis, tribal militias, African mercenaries, and neo-Qaddafists. Most importantly, controlling Fezzan means securing 2,500 miles of Libya’s porous southern desert borders, a haven for militants, smugglers, and traffickers. The outcome of this struggle is of enormous importance to the nations of the European Union, who have come to realize Europe’s southern borders lie not at the Mediterranean coast, but in Libya’s southern frontier. As the territory controlled by Libya’s internationally recognized government in Tripoli and its backers shrinks into a coastal enclave, the struggle for Libya appears to be entering into a decisive phase. Libyan strongman Field Marshal Khalifa Haftar claims his forces are now in control of 1,730,000 square kilometers out of Libya’s total of 1,760,000 square kilometers.1 However, to control Tripoli and achieve legitimacy, Haftar must first control its southern approaches through the Fezzan region. Europe and the United Nations recognize the Tripoli-based Presidential Council/Government of National Accord (PC/GNA) as the official government of Libya, but recognition has done nothing to limit migrant flows to Europe. Whoever can control these flows will be the beneficiary of European gratitude and diplomatic approval. Securing Tripoli means preventing armed elements supporting the PC/GNA from fleeing into the southern desert. Haftar must control water pipelines (the “Man-Made River Project”) and oil pipelines from the south, secure the borders, and prevent Islamic State fighters, pro-Qaddafists, Islamist militias, and foreign mercenaries from turning Fezzan into a generator for continued instability in Libya. Fezzan is a massive area of over 212,000 square miles with a mostly tribal population of less than 500,000 living in isolated oases or wadi-s (dry riverbeds, often with subsurface water). Hidden by sand seas and rocky desert are the assets that make Fezzan so strategically desirable: vital oil fields, access to massive subterranean freshwater aquifers, and a number of important Qaddafi-era military airbases. A principal concern is the ability of radical Islamists to exploit Fezzan’s lack of security to further aims such as territorial control of areas of the Sahara/Sahel region or the facilitation of potential terrorist strikes on continental Europe. Many European states are closely watching the outcome of this competition due to the political impact of the large number of sub-Saharan African migrants passing through Fezzan’s unsecured borders on their way to eventual refugee claims in Europe. The security situation in Fezzan and most other parts of Libya became impossibly complicated by the absence of any unifying ideology other than anti-Qaddafism during the 2011 Libyan revolution. Every attempt to create a government of national unity since has been an abject failure. The most powerful of the military coalitions is the ambitiously named Libyan National Army (LNA), a coalition of militias nominally under the Tobruk-based HoR and commanded by Khalifa Haftar, a Cyrenaïcan strongman who lived in Virginia after turning against Qaddafi but is now supported largely by Russia, Egypt, and the United Arab Emirates (UAE). It is this author’s observation that Haftar has a habit of speaking for the HoR rather than taking direction from it. Arabized sub-Saharans known as Ahali, descendants of slaves brought to Libya with little political influence. The turning point of Haftar’s attempt to bring Libya under his control came with his takeover of the Jufra district of northern Fezzan, a region approximately 300 miles south of Tripoli with three important towns in its northern sector (Hun, Sokna, and Waddan), as well as the Jufra Airbase, possession of which brings Tripoli within easy range of LNA warplanes. The campaign began with a series of airstrikes by LNA and Egyptian aircraft in May 2017 on targets in Hun and Waddan belonging to Abd al-Rahman Bashir’s 613th Tagreft Brigade (composed of Misratans who had fought the Islamic State in Sirte as part of the Bunyan al-Marsous [“Solid Structure”] coalition)5 and the Benghazi Defense Brigades (BDB),a the latter allegedly supported by a group of Chadian mercenaries. In early June 2017, the LNA’s 12th Brigade swept into the Jufra airbase with the help of local tribal leaders.6 Opposition was slight after the Misratan 13th Brigade and the BDB pulled out toward Misrata. This allowed the LNA to take the town of Bani Walid, an important center in Libya’s human trafficking network strategically located 100 kilometers southwest of Misrata and 120 kilometers southeast of Tripoli. The site offers access by road to both cities and will be home to the new 27th Light Infantry Brigade commanded by Abdullah al-Warfali (a member of the Warfala tribe) as part of the LNA’s Gulf of Sidra military zone under General Muhammad Bin Nayel.7 Possession of Bani Walid could allow the LNA to separate the GNA government in Tripoli from its strongest military supporters in Misrata. Control of the trade routes entering Fezzan was based on the midi-midi (friend-friend) truce of 1893, which gave the Tuareg exclusive control of all routes entering Fezzan west of the Salvador Pass (on the western side of Niger’s Mangueni plateau), while the Tubu controlled all routes from Niger and Chad east of the Toumou Pass on the eastern side of the plateau.17 The long-standing agreement collapsed during the Tubu-Tuareg struggles of 2014, fueled by clashes over control of smuggling operations and the popular perception of the Tuareg as opponents of the Libyan revolution. Foreign fighters are alleged to have played a part in the June 2017 Brak al-Shatti airbase massacre of 140 LNA soldiers and civilians by the BDB and their Hasawna tribal allies, with a spokesman for the LNA’s 166th Brigade asserting the presence of “al-Qa`ida associated” Chadian and Sudanese rebels with the BDB.31 In the days after the Brak al-Shatti combat, the LNA’s 12th Brigade spokesman claimed that his unit had captured Palestinian, Chadian, and Malian al-Qa`ida members, adding that 70 percent of the fighters they had killed or taken prisoner were foreign.32 The claims cannot be verified, but many BDB commanders have ties to factions of al-Qa`ida and/or the Islamic State. A challenge to Haftar’s efforts (and one he has tried to co-opt) is the strong current of Qaddafism (i.e., support of the Jamahiriya political philosophy conceived by Muammar Qaddafi) in Fezzan, the last loyalist area to be overrun in the 2011 revolution. Support for Qaddafi was especially strong in the Sahelian Tuareg, Qaddadfa, and parts of the Awlad Sulayman communities. The LNA’s prolonged effort to take and secure Benghazi points to both the difficulty of urban warfare and the weakness of the LNA relative to its ambition to bring Libya’s largest cities under its control. The pullback of the PC/GNA-allied Misratan militias from Jufra may be preparation for a consolidated stand against Haftar, but it also weakens security in the south, offering room for new actors. Fezzan remains an attractive and long-term target for regional jihadis who may find opportunities to exploit or even hijack the direction of a protracted resistance in Fezzan to the imposition of rule by a new Libyan strongman. With no single group strong enough to resist Haftar’s LNA (whose ultimate victory is by no means certain), all kinds of anti-Haftar alliances are possible between Qaddafists, Islamists, Misratans, and even jihadis, with the added possibility of eventual foreign intervention by the West or Haftar’s assertive Middle Eastern or Russian partners. Dr. Andrew McGregor is the director of Aberfoyle International Security, a Toronto-based agency specializing in the analysis of security issues in Africa and the Islamic world. [a] The BDB is a coalition of Islamists and former Qaddafi-era army officers, which includes some fighters who were in the now largely defunct Ansar al-Sharia group. See Andrew McGregor, “Libya’s Military Wild Card: The Benghazi Defense Brigades and the Massacre at Brak al-Shatti,” Jamestown Foundation Terrorism Monitor 15:11 (2017). [b] The town of al-‘Uwaynat in southwest Fezzan is not to be confused with Jabal ‘Uwaynat, a mountain in southeast Cyrenaïca. According to Malian and Mauritanian security sources, Belmokhtar was replaced in early May 2017 by his Algerian deputy, Abd al-Rahman al-Sanhaji, whose name suggests he is a Berber. Belmokhtar’s presence in southern Libya, far away from operations in Mali, was cited as a major reason for the change. Malek Bachir, “Exclusive: Notorious leader of Saharan al-Qaeda group loses power,” Middle East Eye, May 9, 2017. [c] The ‘Ubari-based Maghawir Brigade, created from Sahelian Tuareg as a Libyan Army unit in 2004, split during the revolution with those favoring the revolution forming the new Ténéré (Tamasheq – “desert”) Brigade, while the Qaddafi loyalists were forced to flee to Mali and Niger. Many of the latter returned after the collapse of the Azawad rebellion in northern Mali (2012-2103) and regrouped around Tuareg General Ali Kanna Sulayman as the Tendé Brigade, though others rallied around Ag Ghali’s cousin, Ahmad Omar al-Ansari, in the Border Guards 315 Brigade. Mathieu Galtier, “Southern borders wide open,” Libya Herald, September 20, 2013; Rebecca Murray, “In a Southern Libya Oasis, a Proxy War Engulfs Two Tribes,” Vice News, June 7, 2015; Nicholas A. Heras, “New Salafist Commander Omar al-Ansari Emerges in Southwest Libya,” Jamestown Foundation Militant Leadership Monitor 5:12 (2014); Rebecca Murray “Southern Libya Destabilized: The Case of Ubari,” Small Arms Survey Briefing Paper, April 2017, fn. 23. [d] The Islamic State declared the division of Libya into three provinces of its self-proclaimed caliphate on November 10, 2014, based on the pre-2007 administrative divisions of Libya: Wilayah Barqa (Cyrenaïca), Wilayah Tarabulus (Tripolitania), and Wilayah Fezzan. See Geoff D. Porter, “How Realistic Is Libya as an Islamic State ‘Fallback’?” CTC Sentinel 9:3 (2016). 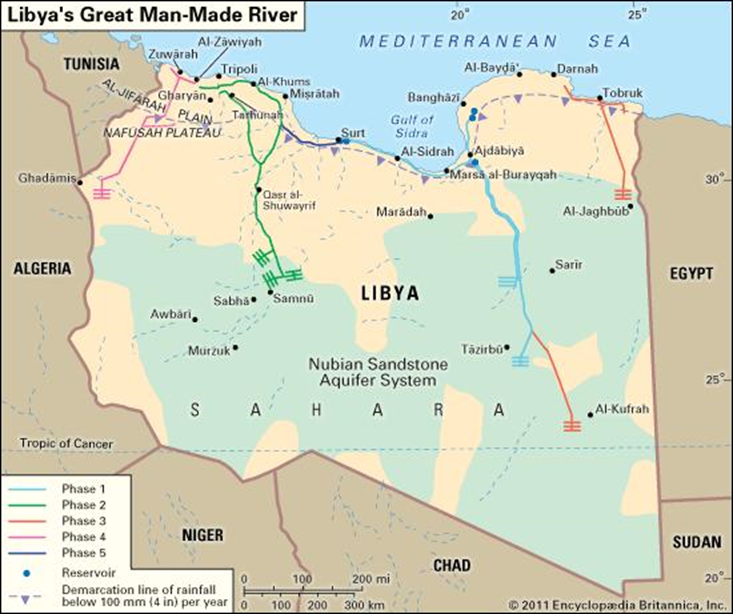 [e] The Great Man-Made River is a Qaddafi-era water project that taps enormous aquifers under the Sahara to supply fresh-water to the cities of the Libyan coast. Cutting the pipelines is a relatively cheap and efficient way of applying pressure to the urban areas on the coast where most of the Libyan population lives. [f] Military sources in the UAE claimed on October 23, 2017, that Qatar was assisting hundreds of defeated Islamic State fighters to leave Iraq and Syria for Fezzan, where they would create a new base to threaten the security of Europe, North Africa, and sub-Saharan Africa. However, this alarming news must be tempered by recognition of the ongoing propaganda war being waged on Qatar by the UAE and Saudi Arabia. Amal Abdullah, “Hamdeen Organization moves hundreds of armed ‘Daesh’ to Libyan territory,” Al-Ittihad, October 22, 2017. [g] The SG5 is a multilateral response to terrorism and other security issues in the Sahel region. Created in 2014 but only activated in February 2017, the SG5 consists of military and civil forces from Mauritania, Mali, Niger, Chad, and Burkina Faso, with logistical and financial assistance from France and other Western partners. [h] The Italian government maintains that the estimated €5 million payment was issued only to the GNA government or Sabratha’s local council and not directly to a militia. However, the route payments took is largely irrelevant to the outcome. Patrick Wintour, “Italy’s Deal to Stem Flow of People from Libya in Danger of Collapse,” Guardian, October 3, 2017. [i] The founding declaration of the PFLL declares its intent is to build a sovereign state and “liberate the country from the control of terrorist organizations that use religion as a cover and are funded by foreign agencies.” “Founding Declaration of the Popular Front for the Liberation of Libya,” Jamahiriya News Agency, December 25, 2016. [j] Of concern to Tripoli are reports that Haftar forces have repeatedly struck civilian targets (especially in Hun) as displayed in the LNA’s Jufra air offensive. Abdullah Ben Ibrahim, “A night of airstrikes in Hun town,” Libya Observer, May 24, 2017. 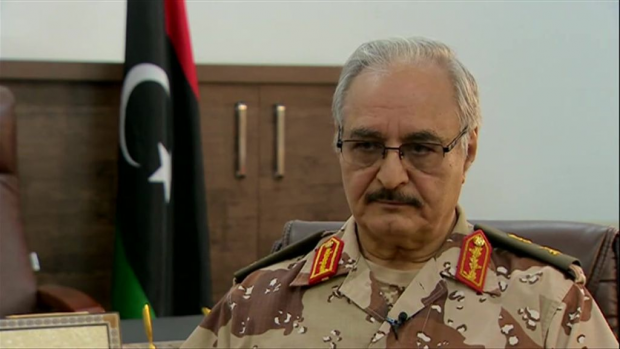 “Majority of Libya now under national army control, says Haftar,” Al Arabiya, October 14, 2017. “Tripoli Revolutionaries Brigade controls Garabulli after three days of clashes,” Libyan Express, July 11, 2017; Waleed Abdullah, “Cautious calm east of Tripoli after clashes: Official,” Anadolu Agency, July 10, 2017; “Pro-Ghwell forces halt advance on Tripoli after Serraj calls for international allies to attack,” Libya Herald, July 7, 2017. “Former PC loyalist Majbri joins Gatrani and Aswad in fresh challenge to Serraj,” Libya Herald, September 3, 2017. 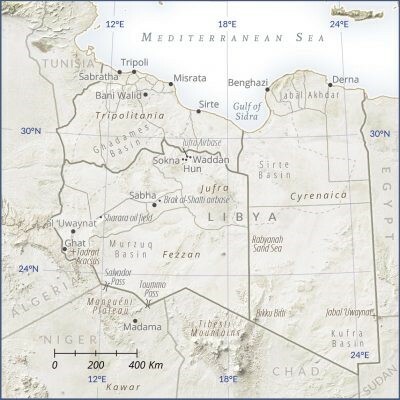 Wolfram Lacher, “Libya’s Fractious South and Regional Instability,” Small Arms Survey Dispatch no. 3, February 2014. “Brigade 613 calls for response to Dignity Operation airstrikes in central Libya,” Libya Observer, May 23, 2017; “A night of airstrikes in Hun town,” Libya Observer, May 24, 2017; “Haftar’s warplanes conduct airstrikes on Al-Bunyan Al-Marsous locations in central Libya,” Libyan Express, May 24, 2017. “Haftar forces capture strategic Libya airbase after ‘secret deals,’” The New Arab, June 4, 2017; “Operation Dignity seizes Jufra airbase in central Libya,” Libyan Express, June 3, 2017; “Haftar’s forces seize Hun town in Jufra, a dozen killed,” Libyan Express, June 3, 2017; Jamie Prentis, “Waddan taken by LNA in fierce fighting,” Libya Herald, June 2, 2017; “Clashes in Waddan town leave a dozen killed,” Libya Observer, June 3, 2017. “LNA sets up new force in Bani Walid,” Libya Herald, October 19, 2017. Lamine Ghanmi, “ISIS regroups in Libya amid jihadist infighting,” Middle East Online, October 15, 2017. “Islamic State set up Libyan desert army after losing Sirte – prosecutor,” Reuters, September 28, 2017; “IS cameraman involved in 2015 Sirte massacre of Egyptian Christians in custody says Assour,” Libya Herald, September 28, 2017. “Sudanese Jihadist killed in eastern Libya,” Sudan Tribune, February 10, 2016; “Sudanese security releases three ISIS sympathizers,” Sudan Tribune, January 1, 2016. “Sudanese twin sisters arrested in Libya over ISIS connections,” Sudan Tribune, February 7, 2017. “9 Sudanese migrants found dead near Libyan border, 319 rescued: SAF,” Sudan Tribune, May 1, 2014; Andrew McGregor, “Jabal ‘Uwaynat: Mysterious Mountain Becomes a Three Border Security Flashpoint,” AIS Special Report, June 13, 2017. Aidan Lewis, “Islamic State shifts to Libya’s desert valleys after Sirte defeat,” Reuters, February 10, 2017; John Pearson, “Libya sees new threat from ISIL after defeat at Sirte,” National [Abu Dhabi], February 10, 2017. “IS slays two in ambush on Third Force convoy,” Libya Herald, May 8, 2017; “Libyan Rivals Rumored to Meet Again in Cairo This Week,” Geopoliticsalert.com, May 10, 2017. Ahmed Elumami, “Islamic State set up Libyan desert army after losing Sirte – prosecutor,” Reuters, September 28, 2017; “Libya Dismantles Network Involved in Beheading of Copts,” Al-Sharq al-Awsat, September 29, 2017. See Andrew McGregor, “Islamic State Announces Libyan Return with Slaughter of LNA Personnel in Jufra,” AIS Special Report, August 24, 2017. Hsain Ilahiane, Historical Dictionary of the Berbers (Imazighen), 2nd ed., (Lanham, Maryland: Rowman & Littlefield, 2017), pp. 146-147. Nick Turse, “The US Is Building a $100 Million Drone Base in Africa,” Intercept, September 29, 2016; “France: The Saharan Policeman,” BBC, March 19, 2015. “Chad shuts border with Libya, deploys troops amid security concerns,” Reuters, January 5, 2017. Lorenzo Cremonesi, “Migranti, Haftar: Vi aiutiamo a fermarli, dateci gli elicotteri,” Corriere della Sera, September 28, 2017. Lorenzo Cremonesi, “Haftar e le minacce alle navi italiane: ‘Senza il nostro accordo, è un’invasione,’” Corriere della Sera, August 11, 2017. Jamal Adel and Hadi Fornaji, “Massive rise in petrol prices in south, but convoys of tankers from Misrata expected to start rolling this weekend,” Libya Herald, September 23, 2017. Jamal Adel, “Qatrun Tebu brigade clamps down on southern border smuggling,” Libya Herald, September 11, 2017. “Southern border reported blockaded as Qatrun leader confirms ‘big’ drop in migrants coming from Niger,” Libya Herald, September 7, 2017. “Barka Shedemi crée la panique à Niamey et maitrise la frontière,” Tchad Convergence/Le Tchadanthropus-Tribune, October 23, 2017. Jamie Prentis, “Sudan reiterates support for Presidency Council but concerned about Darfuri rebels in Libya,” Libya Herald, May 1, 2017. “Hafter praises the PC and says Qatar is arming Libyan terrorists,” Libya Herald, May 30, 2017. “Libya Army Spokesman Says Qatar Involved in Number of Assassinations,” Asharq al-Awsat, June 8, 2017; “Libyan army reveals documents proving Qatar’s interference in Libya,” Al Arabiya, June 8, 2017; “Libyan diplomat reveals Qatari ‘involvement’ in attempt to kill General Haftar,” Al Arabiya, June 6, 2017; “Haftar accuses Qatar of supporting terrorism in Libya,” Al Arabiya, May 29, 2017. “Sudanese rebel group acknowledges fighting for Khalifa Haftar’s forces in Libya,” Libya Observer, October 10, 2016; “Intelligence Report: Darfur Mercenaries Pose Threat on Peace in the Region,” Sudan Media Center, May 22, 2017; “Darfur Groups Control Oilfields in Libya,” Global Media Services-Sudan, July 27, 2016. 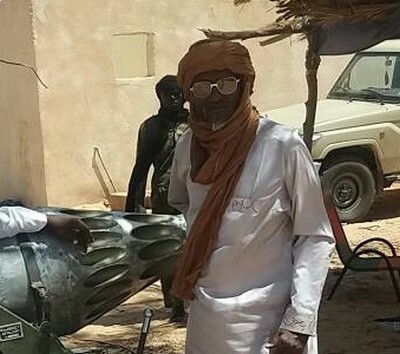 “Final report of the Panel of Experts on Libya established pursuant to resolution 1973 (2011), S/2017/466,” June 1, 2017, p. 115; “Sudan: Rebel Commander Killed, Chief Captured in Darfur Battles,” Radio Dabanga, May 23, 2017; “Sudan, rebels resume heavy fighting in North Darfur,” Sudan Tribune, May 29, 2017. “East-based Libyan army says al-Qaeda attacked airbase,” Channel TV [Amman], May 22, 2017. Maha Elwatti, “LNA claims many Brak al-Shatti attackers were foreign, says it is fighting al-Qaeda,” Libya Herald, May 20, 2017. “Letter Dated 4 March 2016 from the Panel of Experts on Libya Established Pursuant to Resolution 1973 (2011), Addressed to the President of the Security Council,’” S/2016/209, United Nations Security Council, March 9, 2016; Rebecca Murray “Southern Libya Destabilized: The Case of Ubari,” Small Arms Survey Briefing Paper, April 2017, fn. 57. “Libya militia to halt attack on Chadian fighters in south,” Facebook via BBC Monitoring, June 15, 2017; Célian Macé, “Mahamat Mahad Ali, la rose et le glaive,” Libération, May 29, 2017. “Final report of the Panel of Experts on Libya established pursuant to resolution 1973 (2011), S/2017/466,” June 1, 2017, p. 18. See also Andrew McGregor, “Rebel or Mercenary? A Profile of Chad’s General Mahamat Mahdi Ali,” Jamestown Foundation Militant Leadership Monitor, September 2017. “Final report of the Panel of Experts on Libya established pursuant to resolution 1973 (2011), S/2017/466,” June 1, 2017, p. 116. Beata Stur, “Germany, Italy propose EU patrols along Libya’s border with Niger,” New Europe, May 15, 2017; May 15, 2017; “Italy and Germany call for EU mission on Libyan border,” AFP, May 14, 2017. Paolo Mastrolilli, “A Plan for Carabinieri in Mosul After Caliph’s Militiamen Take Flight,” La Stampa [Turin], April 21, 2017. Sami Zaptia, “Libya refused international requests to strike migrant smuggling militias: GNA Foreign Minister Siala,” Libya Herald, April 29, 2017. Gabriel Harrison, “EU parliament head says Libya should be paid €6 billion to stop migrants,” Libya Herald, August 28, 2017. “Final report of the Panel of Experts on Libya established pursuant to resolution 1973 (2011), S/2017/466,” June 1, 2017, p. 63. Jamie Prentis, “LNA airstrikes again hit Tamenhint and Jufra,” Libya Herald, April 29, 2017; “Deadly Clashes in Sebha over Car Robbery,” Libya Herald, May 5, 2017. Francesco Grignetti, “L’Italia studia una missione in Niger per controllare la frontiera con la Libia,” La Stampa [Turin], October 15, 2017. “Tebu, Tuareg and Awlad Suleiman make peace in Rome,” Libya Herald, March 30, 2017. Patrick Wintour, “Italian minister defends methods that led to 87% drop in migrants from Libya,” Guardian, September 7, 2017. “Salafists loyal to Libyan strongman Khalifa Haftar control Sabratha, declare war on Tripoli,” Libyan Express, October 6, 2017; “Libya pro-GNA force drives rival out of Sabratha,” AFP, October 7, 2017. Abdullah Ben Ibrahim, “Khalifa Haftar: Libyan Army is launching legitimate war in Sabratha,” Libya Observer, October 3, 2017. See also Andrew McGregor, “Radical Loyalty and the Libyan Crisis: A Profile of Salafist Shaykh Rabi’ bin Hadi al-Madkhali,” Jamestown Foundation Militant Leadership Monitor, January 2017. “ISIS Fighting Operation Room declares victory in Sabratha,” Libya Observer, October 6, 2017. Francesca Mannocchi, “Guerra di milizie a Sabratha, ecco perché dalla città libica riparte il traffico dei migrant,” L’Espresso, September 19, 2017; Nello Scavo, “Tripoli. Accordo Italia-Libia, è giallo sui fondi per aiutare il Paese,” Avvenire, September 1, 2017. Khalid Mahmoud, “Libya: Serraj, Haftar Share the ‘Liberation’ of Sabratha,” Asharq al-Awsat, October 7, 2017. “Saif al-Islam Gaddafi freed from Zintan, arrives in eastern Libya,” Libyan Express, June 10, 2017; Jamie Prentis, “ICC chief prosecutor demands handover of Saif Al-Islam,” Libya Herald, June 14, 2017. Chris Stephen, “Gaddafi son Saif al-Islam ‘freed after death sentence quashed,” Guardian, July 7, 2016; Raf Sanchez, “Gaddafi’s son Saif al-Islam at large in Libya after being released from death row, lawyer says,” Telegraph, July 7, 2016. AMN al-Masdar News, October 18, 2017. Marc Perelman, “Ghassan Salamé: le processus politique en Libye est ouvert ‘à tout le monde sans exception,’” France 24, September 23, 2017. Lacher. For General Kanna, see Andrew McGregor, “General Ali Kanna Sulayman and Libya’s Qaddafist Revival,” AIS Special Report, August 8, 2017. “Qaddafi’s air force chief flies home from exile: report,” Libya Herald, June 18, 2017. “Tajouri releases Qaddafi people imprisoned for six years,” Libya Herald, June 11, 2017. Mathieu Galtier, “Libya: Why the Gaddafi loyalists are back,” Middle East Eye, November 11, 2016; Vijay Prashad, “Don’t Look Now, But Gaddafi’s Political Movement could be Making a Comeback in Libya,” AlterNet.org, December 29, 2016; François de Labarre, “Libye, le general Ali Kana veut unifier les tribus du Sud,” Paris Match, May 22, 2016. Ken Hanly, “Southern army leaders try to change leaders unsuccessfully,” Digital Journal, October 9, 2016; Abdullah Ben Ibrahim, “Armed groups in southern Libya abandon Dignity Operation,” Libya Observer, October 9, 2016. Jamie Prentis, “LNA resumes airstrikes on Tamenhint as Misratans target Brak Al-Shatti: report,” Libya Herald, April 13, 2017. “’We are the LNA, we are everywhere in Libya’ says LNA spokesman,” Libya Herald, February 2017. “Tripoli-based Special Deterrent Force apprehends Gaddafi-loyal armed group,” Libya Observer, October 16, 2017. “Libya on brink of water crisis as armed group closes main source,” Libyan Express, October 23, 2017; “Water stops in Tripoli as Qaddafi militants now threaten to blow up gas pipeline,” Libya Herald, October 19, 2017. Hadi Fornaji, “Now Tripoli port as well as Mitiga airport closed as Ghararat fighting continues,” Libya Herald, October 17, 2017. “Tripoli-based Special Deterrent Force apprehends Gaddafi-loyal armed group;” “Rada says it has broken up Tripoli attack plot,” Libya Herald, October 16, 2017. “Gunmen block Tripoli-Sebha road in new bid to force release of Mabrouk Ahnish,” Libya Herald, October 23, 2017. “Eastern forces already devised plan to control Tripoli, says spokesman,” Libyan Express, July 11, 2017. Hadi Fornaji, “Thinni spurns calls for political dialogue, says ‘military solution’ is only answer to Libya crisis,” Libya Herald, April 8, 2017. Rebecca Murray, “Southern Libya Destabilized: The Case of Ubari,” Small Arms Survey Briefing Paper, April 2017. The leader of the Libyan National Army (LNA), Field Marshal Khalifa Haftar, is suddenly finding his presumed path to becoming Libya’s latest strongman ruler blocked by various hurdles in the form of war crimes accusations, tribal conflict, internal dissent and allegations of corruption and nepotism. While Haftar’s LNA (actually a coalition of militias rather than a “national army”) remains Libyan’s most potent military force, it is not as strong nor does it control as much territory as the Field Marshal and his supporters would have the international community believe. Haftar is the leader of the military arm of the Tobruk-based House of Representatives (HoR) parliament, which claims to be the legitimate government of Libya rather than the rival Tripoli-based Presidency Council/Government of National Accord (PC/GNA), which is recognized by the United Nations as Libya’s legitimate government. In reality, both factions are different arms of a tripartite national government formed by the 2015 Libyan Political Agreement (LPA). In Libya’s political confusion, even this rivalry is not set in stone; some members of the PC/GNA support the HoR and some members of the PC/GNA support the HoR. A political resolution of Libya’s civil conflict is impossible without the different arms of government uniting in a common purpose. Khalifa Haftar, however, shows every sign of intending to become a new Qaddafi-style strongman while giving lip-service to the provisions of the LPA. Friction between Haftar’s camp (supported by members of his Furjan tribe) and the Awaqir Arabs of eastern Libya dates back to the January 2016 appointment of Awaqir member al-Mahdi al-Barghathi as the GNA’s Minister of Defense. Up to that point, al-Barghathi had served under Haftar as commander of the LNA’s 204th Tank Brigade. His defection to the rival GNA government in Tripoli was roundly denounced by Haftar and his lieutenants. Haftar soon distanced himself from two Awaqir armed groups formerly under his command, Faraj Egaim’s “Special Tasks Forces” and Salah Bulghaib’s “Military Intelligence” militia. The dispute reached the point of no return when Awaqir tribal leader Braik al-Lwati and five other tribesmen were killed by a car bomber while leaving a mosque in Suluq (southeast of Benghazi) in May 2017. Haftar was widely suspected of ordering this and other assassinations of Awaqir figures as the tribe began shifting its loyalties from Haftar to the PC/GNA. This was an intolerable situation for Haftar, who regards Benghazi as LNA turf. The PC/GNA Defense Minister al-Barghathi survived a Benghazi car-bomb attack in July 2016. The conflict intensified when the Presidency Council appointed Awaqir tribesman Faraj Egaim the new Deputy Minister of the Interior on August 31. Haftar quickly denounced the move, calling it a “threat to national security,” while blaming “the Muslim Brotherhood and terrorist groups” of being behind the appointment. Egaim was targeted by a car-bomb in Benghazi days later but survived. A second unsuccessful car-bomb attack on Egaim occurred on November 5, 2017 after he opened an investigation into LNA involvement in a massacre of prisoners outside Benghazi. 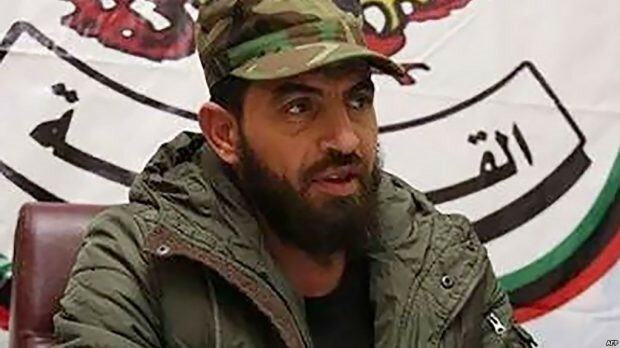 Five days later, Egaim told the Jordan-based 218 News TV on that he blamed Haftar for orchestrating the latest car-bomb attempt on his life and for ordering a mortar attack earlier that day (November 10) on the Interior Ministry base in Benghazi’s Budzira district that killed three members of his command. With audible anger, Egaim gave the “troublemaker” Haftar, his sons and followers 48 hours to quit Benghazi and turn the city over to the Sa’iqa Special Forces Brigade commander Wanis al-Bukhamada, adding “We declare war on the traitor [Haftar] and his camp…” Egaim also accused Haftar’s followers of committing all the abductions and murders in Benghazi since 2014 during a second November 10 interview on the Libya 218 TV channel. 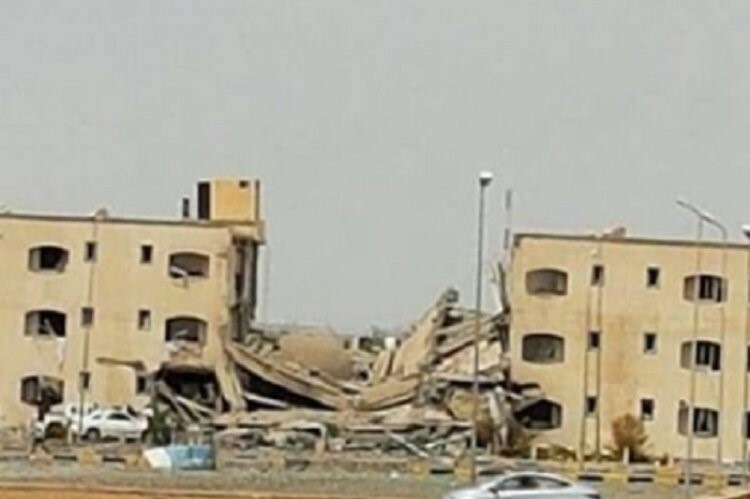 The next morning (November 11), LNA troops stormed Egaim’s Benghazi headquarters. There were no deaths in the attack and no report of prisoners, though the assailants reported seizing all the Interior Ministry vehicles. 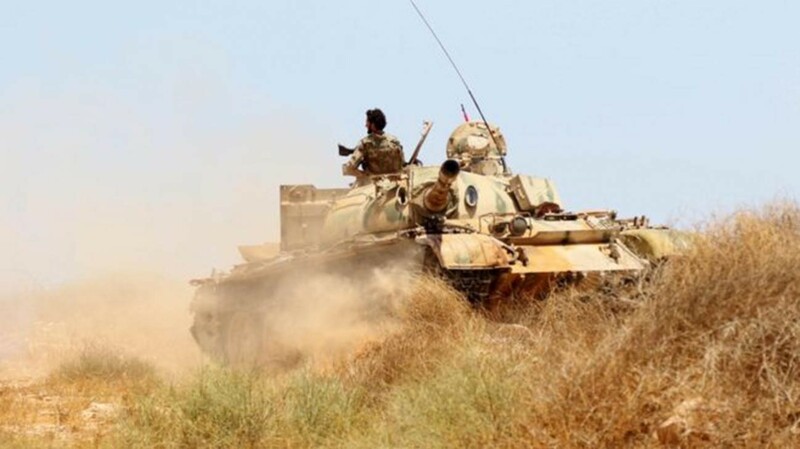 Other LNA units, including the 106th Brigade commanded by Haftar’s son Saddam, moved on the predominantly Awaqir town of Bersis, 60 km east of Benghazi, where Egaim kept a second headquarters. Egaim’s HQ there was taken on the 12th and his home destroyed by heavy artillery. Initial reports that Egaim had been taken prisoner in Marj shortly after the assault on his Bersis HQ proved false. Haftar issued an arrest warrant for Egaim and ordered all security checkpoints in eastern Libya to watch for the fugitive commander. The Field Marshal then left the search to his subordinates, taking an unscheduled trip to Dubai, purportedly to watch an Air Show. Meanwhile, members of the Awaqir tribe took to social media to issue threats to Haftar’s Furjan tribe. With Egaib on the run, the LNA ordered the absorption of Salah Bulghaib’s largely Awaqir “Military Intelligence” unit into the LNA’s main intelligence group. Colonel Muhammad al-Hijazi, a former officer in Qaddafi’s army, quit as spokesman of Haftar’s Operation Dignity (the name for Haftar’s anti-Islamist offensive) in January 2016, accusing him of war crimes in Benghazi and a desire to become a new Qaddafi: “We cannot be silent anymore about his killings, kidnappings, destruction and forced disappearances.” He also accused Haftar of illegally transferring military funds to his sons in Egypt, Tunisia and Jordan. 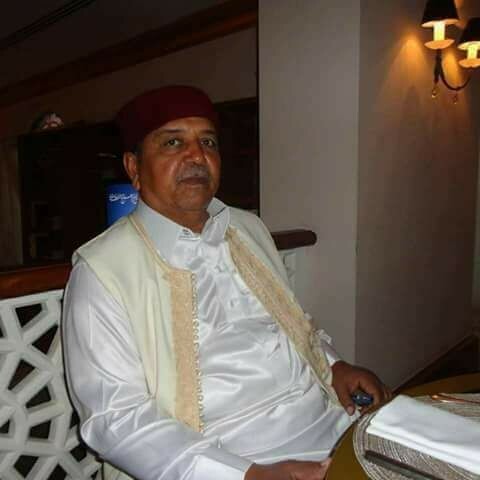 Al-Hijazi returned to the attack on November 4, accusing Haftar of destroying Libya’s social fabric and authorizing a wave of assassinations in eastern Libya: “We were deceived when he said he did not want any position of power, then he raised his own status and gave his sons, who are civilians, military ranks and now he is seeking a mandate to rule all of Libya.” Al-Hijazi claimed many officers wanted to quit Haftar’s LNA, but feared torture and assassination at the hands of Haftar loyalists. The former LNA commander alleged that the “assassinations, political killings [and] secret prisons” were the work of the Salafist fighters under Haftar’s command. These fighters are influenced by Saudi cleric Osama al-‘Utaibi and the anti-Sufi and anti-Muslim Brotherhood Madkhalist ideology, which has gained traction in the LNA leadership. Al-‘Utaibi was invited by Haftar to conduct a speaking tour of eastern Libya in January and February 2017. Unprecedented restrictions imposed soon after ‘Utaibi’s visit by LNA chief-of-staff Major General Abd al-Razzaq al-Nazhuri on women travelling without male companions were viewed as an example of the cleric’s growing influence. As if to answer the Field Marshal’s question, the ICC may be about to expand their focus to Haftar himself. New allegations of LNA war crimes emerged with the October discovery of 36 bodies found in a quarry in al-Abyar, southeast of Benghazi. The bodies were bound and blindfolded and showed signs of torture and bullets fired into their heads at short-range. According to local witnesses, the victims had been arrested by the LNA months ago and included not only political opponents but LNA members who disagreed with Haftar’s methods. Some security sources implicated Mahmoud al-Warfali and Saddam Haftar. The Field Marshal is also under attack on a new and unexpected front – Washington. Libyan human rights activist Emadeddin Zahri Muntasser has met with US government officials in Washington and requested an investigation into war crimes and financial malfeasance allegedly committed by Khalifa Haftar and his sons Saddam, Khalid and al-Saddiq, all US citizens. Muntasser’s 300 page complaint claims the Haftars have violated the US Neutrality Act by enlisting in foreign service as officers as well as other acts prohibiting war crimes, genocide and torture. Several other Libyan groups are reported to be preparing lawsuits against Haftar timed to be introduced during Haftar’s upcoming visit to the US to attend the wedding of his son Uqba Haftar. The multiple complaints and lawsuits may prove embarrassing in the US, where Haftar was closely associated with American intelligence services for two decades. In an effort to ward off the mounting complaints against him, Haftar authorized his son Khalid to retain the Washington lobbying firm Grassroots Political Consulting (GPC). The firm will advocate on Haftar’s behalf in Congress and provide political and strategic advice. The six-month contract is for $120,000. Though this effort may bear some fruit with poorly informed politicians, other elements of the international community will be sure to note the continuing resistance within Libya to acceptance of the Field Marshal as Libya’s new strongman. Libya Observer, September 2, 2017. Libya Observer, November 10, 2017. Libyan Express, November 10, 2017. Xinhua, November 11, 2017; Libya Herald, November 11, 2017. Libyan Express, November 11, 2017. Asharq al-Awsat, November 13, 2017. Libya Herald, November 13, 2017. Libya Herald, November 10, 2017. Libya Observer, January 22, 2017. Libya Observer, November 5, 2017. Libya Observer, November 5, 2017; Libya Herald, February 7, 2017. Libya Herald, February 19, 2017. Libyan Express, November 8, 2017. Asharq al-Aswat, November 8, 2017. Al-Jazeera, October 29, 2017; AP, October 29, 2017; Libyan Express, October 28, 2017. Libya Observer, October 17, 2017. Middle East Monitor, November 6, 2017. NATO’s concentrated airstrikes destroyed Muammar Qaddafi’s Libyan Army in 2011 and paved the way to victory for an assortment of untrained and inexperienced Islamist and tribal militias. With no other unifying ideology other than overthrowing Qaddafi, these militias not only staked out their own share of power in the collapsed state, but began to expand, bringing in recruits who had done nothing during the revolution but were now willing to pose, bully and extort the civilian population. Many veterans of Qaddafi’s army fled into exile or remained to find themselves imprisoned or at the receiving end of an assassin’s bullet. Such was the end of Libya’s professional army. The United Nations and most parties in Libya agree that the formation of a new national army is essential to escape the rule by militia that is preventing Libyan reconstruction. Lack of coordination between armed groups allows space for Islamic State militants, human traffickers and smugglers to operate with impunity. To understand the competition to form a national Libya army, it is necessary to first understand the rivalry between the different arms of the tripartite government called for in the UN-brokered Libyan Political Agreement (LPA) of 2015. The functions of head-of-state (including the authority to form a military) are carried out by a fractious nine-member Presidency Council (PC) based in the national capital of Tripoli and led by its chairman, Fayez Serraj. Also based in the capital is the executive authority, the Government of National Accord (GNA), which generally works in concert with the PC. The parliament, the House of Representatives (HoR), is based in the eastern city of Tobruk and competes with the PC/GNA, which needs the approval of the HoR to assume its full powers and legitimacy. An advisory body, the High Council of State, tends to side with the HoR. Making matters worse is the existence of another would-be government, Khalifa Ghwell’s Government of National Salvation (GNS), which consists largely of members of the pre-agreement General National Congress (GNC) government who failed to be elected into the new government bodies and frequently attempt to restore the old order through violent incursions into the capital. The question of legitimacy is inextricably tied to the ability to purchase arms on the international market through an exemption to the UN Security Council’s international arms embargo. Experienced officers and soldiers are awaiting the emergence of a unified military to which they can offer their services. In the meantime they have the choice of isolated aloofness, patient exile or participation in local, highly politicized militias that actually impede the creation of a national force. 1/ The “Libyan National Army (LNA),” actually a coalition of mostly eastern militias led by “Field Marshal” Khalifa Haftar and tied to the House of Representatives (HoR) government in Tobruk. 2/ “Bunyan al-Marsous (BaM)” (The Solid Structure), a coalition of mainly Islamist militias, most hailing from the Western city of Misrata. 1/ The “Libyan Army,” a national army still in formation under Major General Abd al-Rahman al-Tawil and authorized by the Tripoli-based Government of National Accord (GNA). 2/ The “Presidential Guard,” led by Colonel Najmi al-Nakua and nominally under the GNA’s Presidency Council (PC). 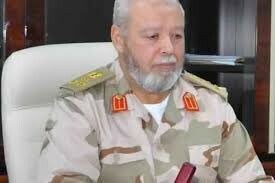 3/ The “Libyan National Guard” (LNG), based in Tripoli and led by Brigadier General Mahmoud al-Zigal. The LNG is tied to the rival Government of National Salvation (GNS). The LNA is a coalition of mostly eastern (or Cyrenaïcan) militias led by “Field Marshal” Khalifa Haftar and tied to the HoR parliament in Tobruk. Major General Abd al-Razzaq al-Nazhuri is the LNA’s chief of staff. Many of Haftar’s closest aides and bodyguards are drawn from his own Furjan tribe. His sons Khalid and Saddam have been made leading officers in Haftar’s LNA despite lacking any military training or experience. The influential Cyrenaïcan Awaqir tribe has complained strongly of nepotism in the command structure, such as Saddam Haftar being given command of Benghazi’s 106th Brigade. Though the LNA professes to be politically secular rather than Islamist, its ranks include units from the Saudi-inspired Salafist Madkhali movement as well as large numbers of mercenaries from Chad and Darfur. Egypt declared on September 19, 2017 that it would take a leading role in the reorganization of the Libya Army around Haftar’s LNA. Chairing a Cairo meeting between Egyptian military officials and officers of the LNA was the former Egyptian chief-of-staff Lieutenant General Mahmoud Ibrahim Hegazy (replaced as chief-of-staff by Lieutenant General Muhammad Farid Hegazy on October 29, partly due to Mahmoud’s inability to secure Egypt’s border with Libya). After the declaration, an LNA officer said the LNA was “open to discussion with all parties excluding terrorist organizations,” but as Haftar refers to all his opponents as “terrorists,” this was not the opening it might appear. In order to coordinate LNA activities, Haftar created a central operations room in Benghazi on October 11, 2017 under the command of Major General Wanis Bukhamada (Magharba tribe), leader of the Sa’iqa (“Lightning”) Special Forces and a capable veteran of Qaddafi’s regular army. Almost before he could begin his new duties, Bukhamada became involved in the investigation of the torture and murder of 36 men found dead on October 26 in Abyar, east of Benghazi. Allegations that the dead had been held in LNA military prisons and the possibility of war crimes charges from the ICC have unnerved the LNA leadership, already under pressure from International Criminal Court (ICC) war crimes charges against Mahmoud al-Warfalli, a Sa’iqa commander videotaped executing dozens of unarmed prisoners in a series of incidents. 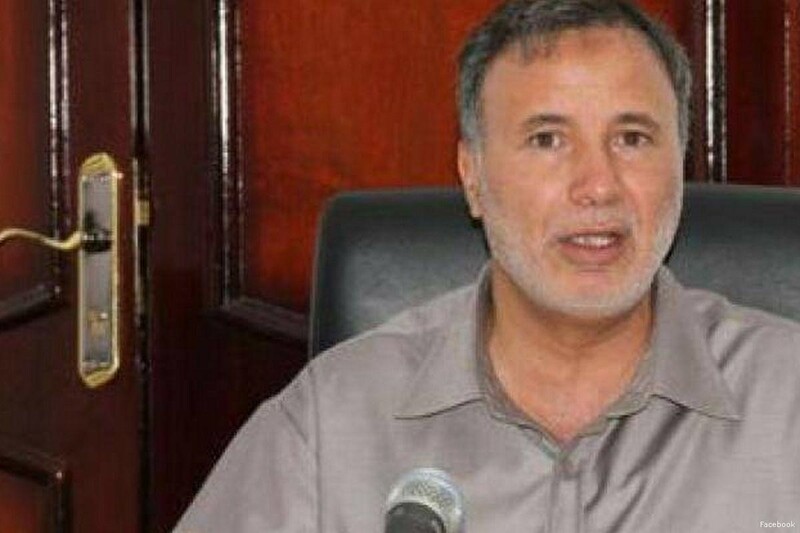 The newly appointed Deputy Minister of the Interior for the PC/GNA, Faraj Egaim, opened his own investigation of the Abyar incident and was subsequently targeted by a car bomb in Benghazi on November 5, 2017. Egaim’s appointment was part of a shift by his Cyrenaïcan Awaqir tribe from Khalifa Haftar’s anti-Islamist “Operation Dignity” to the PC/GNA in Tripoli. The shift was prompted by Awaqir claims that Bukhamada’s Sa’iqa force had provided a safe corridor for Islamic State militants to escape Benghazi and a series of car bomb attacks against leading Awaqir members in Benghazi the tribe blames on Haftar and his supporters. Targets included tribal leader Braik al-Lwati, who was killed in May 2017, while Awaqir PC/GNA Defense Minister al-Mahdi al-Barghathi survived a July 2016 car-bomb. Egaim, whose defection to the PC/GNA was not well received in the Haftar camp, survived an earlier car bomb in September 2017. 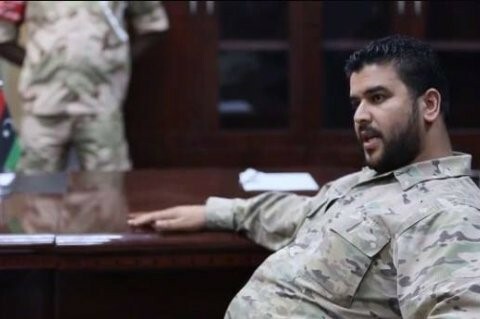 Egaim had been the commander of the LNA’s Special Tasks Force when he led Aqaqir tribesmen in a June 2017 attack on Benghazi’s Kofiya Prison to free Nuri Bu Fannarah, an Awaqir tribal leader who claimed he had evidence to prove Haftar had ordered the assassination of Braik al-Lwati. On October 1, 2017, the HoR and the High Council of State issued a joint statement declaring a former Libyan Army officer in the Qaddafi era turned revolutionary, Salim Juha, the new chief-of-staff under Khalifa Haftar as commander-in-chief. It was not clear whether this marked a change in loyalties by Juha or if this meant General al-Nazhuri had been replaced or dismissed. Juha had previously been named chief-of-staff of the Libyan Army by PC deputy Fathi Majbri in late 2016 while Majbri was acting PC chairman during Serraj’s absence at a family wedding. This appointment (and several others suddenly made by Majbri) was overturned when Serraj returned. Bunyan al-Marsous is a coalition of mainly Islamist militias, most of which originate in the Western city of Misrata. The coalition is led by General Bashir al-Qadi. BaM was formed in emergency circumstances when Islamic State fighters launched a surprise offensive towards Misrata from their base in Sirte in April 2016. BaM has pledged allegiance to the United Nations backed PC/GNA government in Tripoli, though it frequently complains of a lack of support from that administration. BaM has campaigned to have itself recognized by the PC/GNA as the national army of Libya and is now patrolling south of Sirte after repeated reports of Islamic State activity in the area. BaM defeated strong Islamic State forces in Sirte after an eight-month campaign assisted by 495 American air strikes on Islamic State targets (Operation Odyssey Lightning) and a minor but separate contribution from the LNA. Eight hundred BaM fighters, mostly Misratans, were killed in the campaign to eliminate the Islamic State terrorists. In October 2016, after some 200 American airstrikes on Sirte (largely from USS Wasp, a multi-purpose amphibious assault ship), the American air campaign came under surprising criticism from BaM’s Brigadier Ibrahim Bait, who claimed (with little merit) that the US airstrikes had been less effective than the sorties carried out by Misratan aircraft and had made no difference to BaM’s attempts to retake Sirte. The inclination of BaM’s leaders to conduct their own foreign policy has repeatedly placed them at odds with the PC/GNA politicians responsible for such matters. Several leading Misratan members of BaM visited Grozny and Moscow in April 2017, where they were urged (unsuccessfully) to reconcile with Khalifa Haftar, who is favored by the Russians. BaM infuriated the PC/GNA by undertaking a visit by 15 BaM officials to Qatar on its own initiative in mid-August 2017 without the prior consent of the PC or the GNA’s Defense Ministry. The delegation included BaM commander Bashir al-Gadi and former BaM spokesman Muhammad al-Ghusri (who left the coalition to act as spokesman for the PC/GNA defense ministry in January 2017 but still joined the BaM delegation). The BaM delegation was received as an official visit by Qatar’s ruler. Nonetheless, the visit was unpopular in both Tripolia and Misrata. Hamid Aisa Khadr and Hamza Treiki, two Misratan commanders who took part in the BaM offensive on Sirte, called for the prosecution of al-Gadi and al-Ghusri after their visit to Doha. PC chairman Fayez Serraj forbade further such meetings and warned of courts martial for future offenders. After Serraj’s response, BaM Colonel Ali Rafideh accused the PC of failing to provide salaries, logistical support and treatment for wounded BaM fighters after the victory in Sirte. The growing gulf between BaM and the PC was recently illustrated by threats made by BaM Brigadier Muhammad Gnaidi against Egypt, Saudi Arabia and the UAE on Libya’s Islamist Tanasuh TV. Gnaidi’s threats to attack the nations supporting Haftar’s LNA (and, in the case of Egypt and the UAE, participating in air attacks) followed LNA air strikes on the besieged Islamist stronghold of Derna that killed 15 civilians, mostly children. PC chairman Fayez Serraj’s call for an investigation of the “irresponsible” remarks was met by Gnaidi with the remark that unless Serraj took firm action against the three nations, he should leave Libya “on board the vessel that brought him to Tripoli.” In the face of this insubordination Serraj dismissed Gnaidi from the Military Intelligence Directorate and the leadership of the GNA’s Libyan Army. Gnaidi promptly announced a new allegiance to the military arm of the Government of National Salvation. The “Libyan Army” authorized by the Government of National Accord (GNA) based in Tripoli is intended to be a national army under the command of Major General Abd al-Rahman al-Tawil. 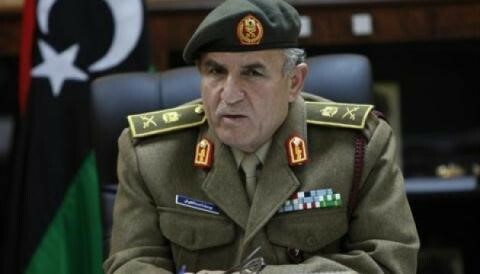 General al-Tawil was appointed by the PC as the chief-of-staff of the Libyan Army on September 1, 2017. The problem with his appointment was that there were no forces to place under his command other than the Presidential Guard, which appears to have remained under the direct command of PC chairman Fayez Serraj and will not become part of the planned national army. The appointment still angered HoR interim PM Abdallah al-Thinni and Khalifa Haftar, with the latter announcing he was breaking off all lines of communication with the PC/GNA. Three of the seven members of the PC (Ali al-Gotrani, Fathi al-Mijibri and Omar al-Aswad) responded to al-Tawil’s appointment by rejecting Serraj’s authority and declaring Khalifa Hatar and the LNA chief-of-staff to be the sole military leaders of the Libyan nation. Speaking for many, but not all, of the Misratan armed groups, the Misratan Military Council (MMC) announced on January 31, 2017 that all the brigades under its control would join the incipient “Libyan Army” loyal to the PC/GNA and in opposition to the “rogue general” Khalifa Haftar (Digital Journal, January 31, 2017). Led by Brigadier Najmi Ramadan Khari al-Nakua and his deputies, Ibrahim Bilad and Abu Lagri, the Tripoli-based Presidential Guard is intended to draw upon security personnel from across Libya, but from the start there has been pressure from Misrata to go with a Misratan majority. 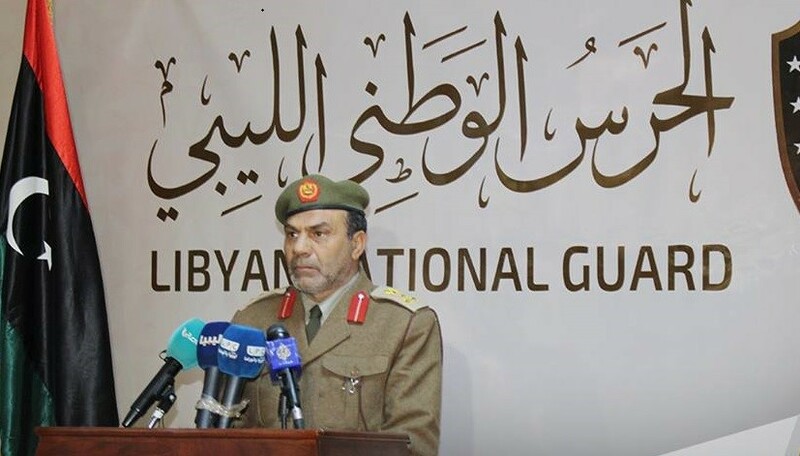 The Presidential Guard was created under the authority of the PC/GNA in May 2016, with an initial base of 500 fighters recruited from various militias given the task of protecting Tripoli’s international airport. 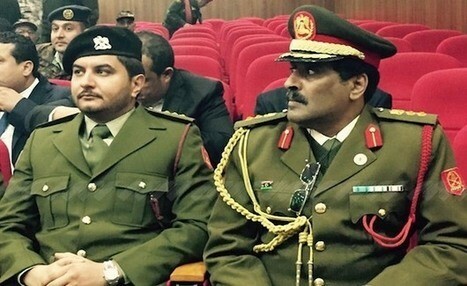 Despite the unit’s name, the Presidential Guard’s loyalty appears to be somewhat capricious: when armed groups supporting Khalifa Ghwell’s Government of National Salvation (GNS) attacked Tripoli in an October 2016 coup attempt, the Presidential Guard abandoned the PC, invaded the offices of the High Council of State and announced the installation of the GNS as Libya’s legitimate government. The Guard’s change of allegiance appears to have been provoked by unpaid salaries, though Ghwell was unlikely to make good on these as his coup quickly collapsed due to a lack of broad support from Tripoli’s militias. 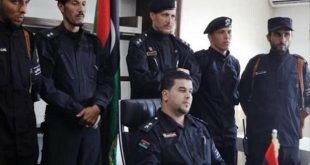 The Guard’s commander, Ali Ramali, who was alleged to have taken control of the unit’s payment system to reward those loyal to himself and deprive others, was subsequently dismissed for refusing to obey orders from the PC/GNA. In June 2017, the Presidential Guard made an unsuccessful bid for an exemption from the UN Security Council’s arms embargo on Libya. In the next month the Presidential Guard announced a plan to prohibit the possession of arms by “unauthorized individuals” in Tripoli as well as a ban on the entry of light, medium and heavy weapons to the capital, though progress on this file is so far difficult to discern. Fending off critics such as Haftar who claim the Presidential Guard aspired to form a new national army, the Guard has stated that it is not to be viewed as a substitute for the army or as an obstacle to its reconstruction, while describing itself as a “disciplined force” loyal to the PC and without any allegiance to political parties, cities or tribes. The Guard has pledged to restrict itself to duties involving border control and protection of state facilities, government members and visiting dignitaries. The Guard runs training facilities in Tripoli, Misrata and Gharian where recruits receive three months of basic training, followed by specialty training such as mechanical support, communications and Special Forces tactics. According to al-Nakua, Algeria has agreed to send gendarmes to train the Presidential Guard. 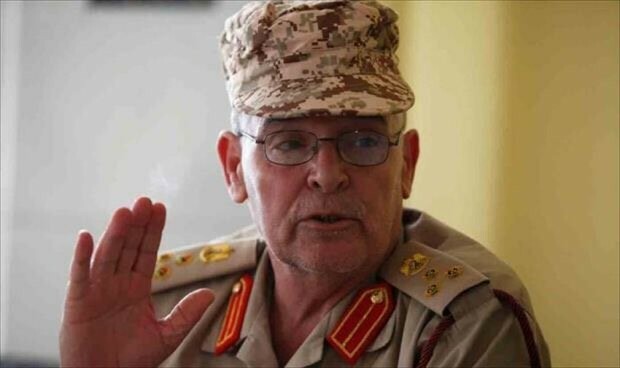 Italian general Paolo Serra, the military advisor of the United Nations Support Mission in Libya (UNSMIL), urged the PC to hasten the full establishment of the Presidential Guard in September, along with developing a program to disarm the militias. Al-Nakua has outlined plans for an ambitious expansion of the unit, adding six additional brigades in western Libya to the one already operating in Tripoli. Based in Tripoli and led by Brigadier General Mahmoud al-Zigal, the LNG was formed in February 2017 by supporters of Khalifa Ghwell’s Government of National Salvation (GNS) who had fought against the Islamic State in the Battle of Sirte. Zigal insisted the LNG had no ties to political parties and would avoid entanglement in regional or tribal disputes. The GNA described the National Guard as “outlaws” determined to “form a parallel body to the Presidential Guard” in order to “lead the capital into bloody armed conflict.” The PC quickly declared the LNG illegal, but did not have sufficient power to shut it down. Following the National Guard’s February 10, 2017 parade of military vehicles and weapons in Tripoli, the US State Department issued a warning that the introduction of a new unit with such a significant quantity of weaponry would further destabilize the fragile security situation in Tripoli. Shortly after the LNG’s creation, clashes broke out in Tripoli between Haithem Tajouri’s Tripoli Revolutionaries Brigade (TRB) and Misratan fighters led by Tripoli-based Misratan militia leader Mahmud Baiyu (a.k.a. Sharikan). Biayu was closely tied to many of those who had joined the LNG, but was disappointed when the newly-formed National Guard failed to support him, possibly the result of strong American criticism of the new force. In April 2017, the National Guard announced it was sending units south to join the Benghazi Defense Brigades (BDB) and the Misratan Third Force (lately renamed the 13th Brigade) in fighting against the LNA’s 12th Brigade around Tamenhint airbase (northwest of Sabha). Al-Zigal urged all forces based in southern Libya to fight “the idiot war criminal Khalifa Haftar.” If LNG units did reach the south, they do not appear to have played any significant role in the fighting, which ultimately went against the BDB and their Misratan allies. The many ex-soldiers of the BDB have made clear they will never agree to Khalifa Haftars rule and refuse to even consider laying down their arms until the “war criminal” is no longer a candidate for national leadership. A rare joint operation by LNA and PC forces occurred from November 2 to November 8, 2017, when the LNA-affiliated Special Operations Forces commanded by Major Imad Trabulsi and pro-PC forces commanded by Major General Osama Juwaili (commander of the PC/GNA western military region and a former officer in the Qaddafi-era Libyan Army) mounted a joint attack in the Wirshefana district (southwest of Tripoli) on the local 4th Brigade commanded by Omar Tantoush. Trabulsi and Juwaili are both from the western city of Zintan, where many powerful militias exist as rivals to similarly powerful rivals in Misrata. 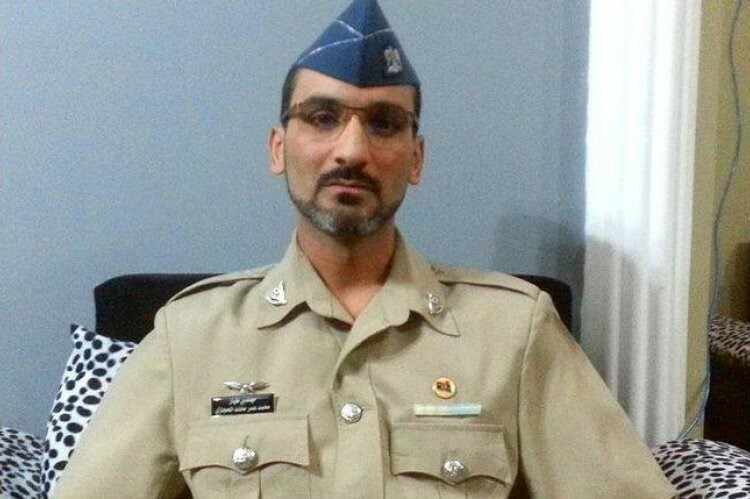 A loyalist general in Qaddafi’s Libyan Army during the 2011 revolution, Tantoush was released from prison in 2015 to serve in Khalifa Haftar’s LNA but left a year later. He was replaced by Trabulsi. Tantoush’s 4th Brigade was accused by Trabulsi of harboring an armed group (including 120 mercenaries from Darfur) belonging to the pro-Qaddafist Popular Front for the Liberation of Libya (PFLL) who attempted to take control of the main routes in and out of Tripoli in mid-October. Apparently there were fears that the Qaddafists had lost faith in the leadership of Saif al-Islam Qaddafi (said to be in Wirshefana and afflicted with depression) and were preparing to join Haftar’s LNA. Oddly, both the PC and the LNA denied authorizing the operation, effectively depriving it of any significance as an example of possible cooperation. There are elements of the LNA that support the PC/GNA and elements of BaM that support Khalifa Haftar. Though BaM and the LNA profess to have a common enemy in the Islamic State, there is little coordination between the two and incidents such as a July clash between BaM and LNA units that allowed Islamic State fighters to escape are not unheard of. BaM has expressed its willingness to cooperate with any group to destroy the Islamic State in Libya, which they fear will begin recruiting amongst illegal migrants unable to get to Europe but unwilling to return home. However, as seen above, this willingness to cooperate does not appear to include entertaining overtures from the LNA. There are suspicions in Libya that both BaM and the LNA have a certain degree of tolerance for Islamic State activities in the hope that the extremists will attack their rivals. At the moment, Khalifa Haftar’s LNA is the strongest military grouping in the country. BaM has significant internal divisions and resents the PC/GNA for failing to provide it with the support it expected during the battle for Sirte and afterwards. The PC/GNA’s “Libyan Army” does not yet exist, the loyalties of the Presidential Guard appear somewhat flexible, and the National Guard is simply the armed wing of a pretend government. A successful advance on Tripoli by Haftar later this year or in 2018 may render the question of who will form Libya’s national army moot, but it will raise new questions about the military structure of an extended and expected armed resistance to the Field Marshal’s rule.